What are the benefits of rowing machine? If you are looking for one piece of equipment that can give you a lot of benefits when it comes to complete physical fitness in 2019 then a rowing machine would be it. A good rowing machine can give you a complete workout and it occupies very little space. Since it is an intensive exercise, you don’t have to keep at it for hours to see difference, just rowing regularly and in controlled intervals can help you get fit and fast. Let’s get down to it and check what exactly rowing machines work out on your body. Do Rowing Machines Really Work? What Muscles Does A Rowing Machine Workout? How To Do High Intensity Interval Training Rowing? How to do Crossfit Workouts With Rowing Machine? There are a lot of people who are using rowing machines globally to get trim, get fit and lose weight. The fact that there are a lot of different exercise regimes like Crossfit that use it as a staple in their boxes means that rowing machines provide good workouts. A rowing machine burns a good amount of calories and what is even more important is that the fact it works your entire body and not just a separate section. Rowing at a brisk pace can burn about 311 calories in about 30 minutes. When you contrast this with jogging on the treadmill, it only burns about 236 calories in about the same time. The advantage with rowing machines though is that it is completely non-impact and your knees don’t take a pounding unlike jogging or running. It would be easier to understand what is being worked out if we broke down the rowing process. 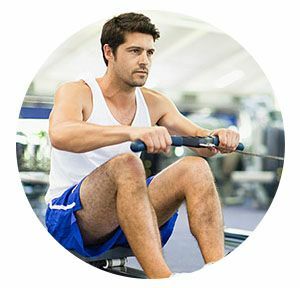 So let’s go through the processes which your body goes through during a rowing machine cycle. The rowing cycle starts with huge push from your leg muscles, this is called catch in rowing terminology. What happens here is that your knees and hips together use the largest muscles in your body to complete this action. This means, quadriceps(quads), hamstrings and gluteus maximus. All these together form the entirety of your lower body musculature. Your midsection forms the core of your body and this is a critical area to workout. After your lower body generates thrust, your midsection will take up the momentum and exert force through your back muscles and your arms. Your core muscles have to contract to prevent your back from collapsing and stabilizing your lower spine. This core includes rectus abdominis, transverse abdominis, obliques and erector spinae. When you pull on the rowing machine, you exert your arms together with your shoulder muscles. Your biceps make you bend your elbows while pulling the rower handle closer to your midsection. 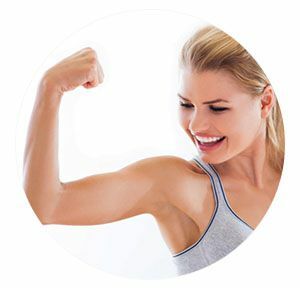 Your anterior deltoids and chest muscles also work to pull your arms closer to your body. When you slide back and forth on the rowing machine, it is your hip muscles that enable you to do so. Your hip muscles consist of iliopsoas and flexors work along with rectus femoris, quads to pull you through to the next stroke. All this motion gives you a thorough workout when you’re on the rowing machine. A rowing machine has multiple benefits, many of which the fitness community has been actively promoting. Regardless of what type of rowing machine you choose, you will find that it offers you all the advantages of having your own rowing machine at home. A lot of people know that water-based rowing is quite a fitness exercise, but a rowing machine is not too far off. Your cardiovascular ability is a big part of your fitness profile. Rowing machines are a great exercise for your whole body and it exerts all parts. It makes the heart and lungs pump harder because of exertion of every muscle in the body. Your heart and lungs have to supply nutrients to all parts of the body and since rowing pushes your body to the max, they have to work to keep up. Also, exercise creates a lot of byproducts which are detrimental to your functioning, like carbon dioxide and lactic acid. Most exercises have an impact factor, when your body has to bear with some kind of sudden, external force. Needless to say, this is bad for your system and should be avoided. The good news is that rowing machines are pretty much a non-impact exercise that can offer you equal or better benefits when compared to most cardiovascular exercises. When the human body is subjected to stress, it does its best to overcome it. So when you exercise, certain muscles of your body are broken down and they grow back again stronger. This is what is called strength. The thing about cardiovascular movements like rowing machines is that it can also build muscular endurance. Endurance is when you are able to keep exerting yourself over a period without exhaustion. Rowing increases both muscular strength and endurance. A lot of look at water-based rowing as a group activity and for good reason – rowing is always considered a team sport and people want to bring that to their gym as well. A rowing machine is ideal to have at a commercial gym because it occupies very less footprint and many of them can be accommodated in a small space. But even if you want to go at it by yourself, you can do that as well. Although there are several expensive models of rowing machines out there, you can find models that offer you a good workout experience at a superb cost. That said, if you want to compare a rower with a treadmill, the Model D Indoor rowing machine with pm5 display which is top-of-the-line when it comes to rowing machines, retails for a decent sum of money. One of the better treadmills out there is the sole F85 which costs a lot of money. HIIT is the new age of workout training and it seems to work for a lot of people right now. It is based on the principle of quick bursts of explosive exercise movement with short intervals of reduced movement in between. This type of regimen can give you a much better physique and fat loss benefits in a much shorter time span. Ease up for the next 60 seconds and repeat another 60 sec burn phase. While this is something that gets asked around a lot by people the fact is that at the end of the day, people would prefer doing what they like. There are an equal number of people who are fans of all the different exercise equipment that are available today. The one tangible benefit a rowing machine has over treadmills and ellipticals is that it is a lot cheaper than both of them while offering the same if not more benefits. Another thing is that it occupies significant less space also in comparison. This is especially important to people who have limited space to spare in their home for fitness equipment. Even if you are a gym owner, you can fit a lot more rowing machines than ellipticals or treadmills. Both these combine to be an attractive proposition to a lot of people. Indoor Rowing machines have become an integral part of Crossfit boxes all over the globe. A rowing machine lends itself well to the Crossfit method of training which is going at maximum effort for a period of time. Since rowing machine offer a lot of benefits for its price, it is ideal for a lot of Crossfit boxes because they prioritize performance over space. There are 2 basic ways how you can measure how much exercise you are going to get from a rowing machine. One is the distance that you row and another is the amount of time. There are people who subscribe to both schools of thought and there is no ‘right’ side to take. Just make sure that your record your exercise measurements regardless of the measurement that you are subscribed to. When you are measuring time, make sure that you don’t exert yourself for more than about 20 minutes of continuous rowing if you are a beginner. Always move from smaller targets to bigger ones. Like we wrote before, the top of the line Concept2 Model D indoor rowing machine with the fitness monitor included will set you back by a good sum of money. When compared to other cardiovascular machines, a rowing machine is both less expensive and also occupies less footprint. These properties make it the ideal piece of equipment to rely on for a lot of fitness enthusiasts. As you can see there are a lot of different machines at varying prices available. You can find more details on rowing machines on our extensive rowing machine comparison. 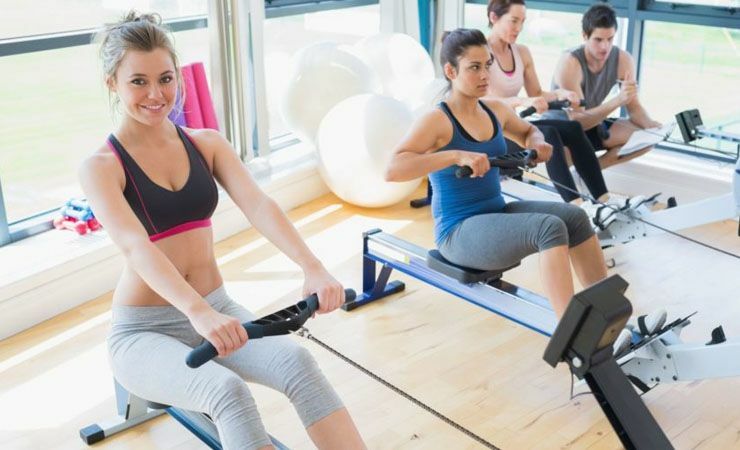 Rowing machines are one of the best exercise equipment that you can get and if you are looking to get some cardiovascular workouts going, it would be a great starting point. There are a lot of different types of rowing machines and most of them are going to be pretty good for your use. 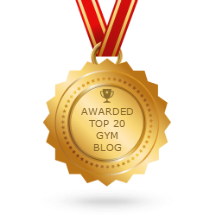 You can find some articles on this website on the best rowing machines that are out there. It will help make your purchase decisions a lot easier. Do let us know if you need more clarity on rowing machines or ask in the comments below. My doctor recently suggested that I start working out some more, so I’ve been looking at different machines. I’m surprised that the rowing machine can help your body in so many different ways. If it can help me gain endurance like you point out in the article, then I might definitely have to add this to my workout routine. Rowing Machine is a great workout Kyle. You can crank it up.